Sometimes, with all the news articles and blog posts and television shows dealing with problems our kids have, we forget how to look at the issues from a child’s perspective. We forget that these “adult” problems are actually kids’ problems. 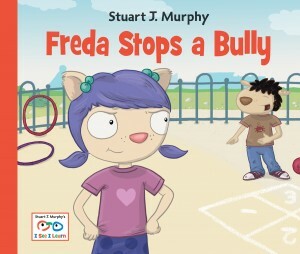 This series of books from Stuart J. Murphy, called “I See I Learn,” doesn’t forget. My kids (both preschoolers) really loved the characters and the stories. My three-year-old could understand the stories clearly, and my older beginning reader was able to read and enjoy the books with a deeper appreciation. 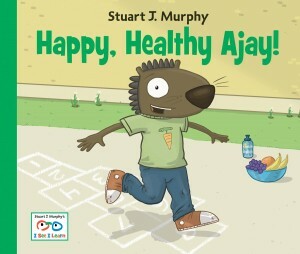 I read both Freda Stops a Bully and Happy, Healthy Ajay! (received as review copies from the publisher) with my children. The entire series shares various characters, and they both follow the same structure including plot and recap, followed by discussion questions related to the story. The problems are simple enough so as to attract but not frighten young children. 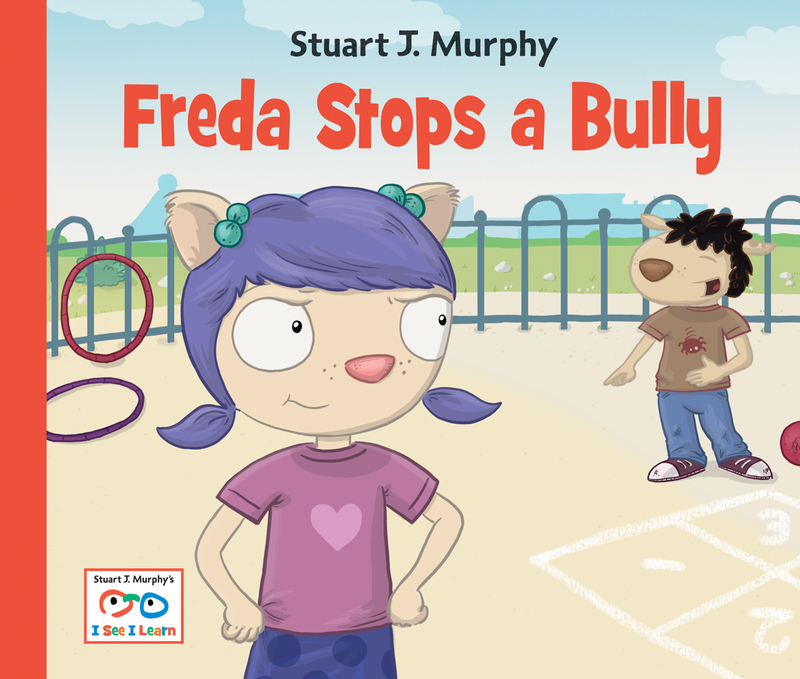 The bullying story involves being teased for wearing pink shoes, and the insult is “Funny Feet!” Personal enough to sting, but not painful enough to cause trauma. 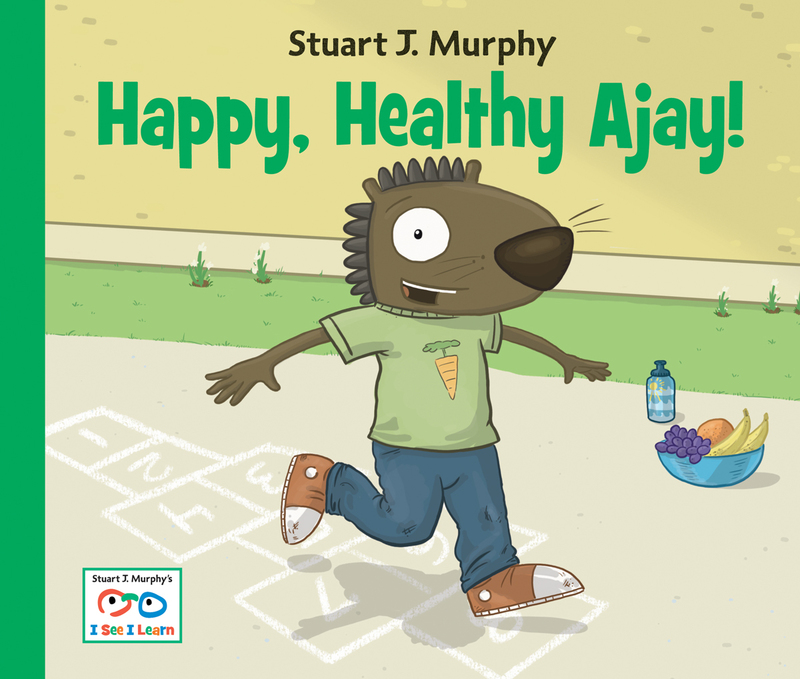 In the health-oriented story, a boy wants to be able to run as quickly as his friends. Again, a problem that children can relate to without being frightened by. These books are perfect for preschoolers and are veg-friendly. The characters are cute and fun (purple hair! t-shirts with spiders and stars! ), the language is simple without being babyish, and the story-line is relatable. Parents and caretakers should make sure to make full use of the section in the back called “A Closer Look.” I had wonderful, unforced conversations with my children about bullying and healthy eating using the questions for these two stories. It was helpful, and actually a relief, to look at the conflicts from a child’s point of view. This seems like a good series for introducing difficult topics to younger readers. Stuart J. Murphy is one of my favorite writers, too! Thanks for sharing. I found it perfect for the preschool age group. My kids both liked the stories, and they wanted to talk about the conflicts/problems in them. To me, that’s a win/win!